We make first steps easier. and you’ll get solutions. Not a sales pitch. No commitments, no high pressure sales tactics, no long-term contracts — when you reach out to us, we’ll focus on learning about your company and your needs. Since we started providing EDI services in 2000, we’ve provided right-sized solutions for all kinds of suppliers. What’s more, we have built productive relationships with retailers because they are confident we’ll make EDI transactions accurate, seamless, and efficient. If you decide to work with us, our teams will make the setup and integration process a smooth one, whether you’re transitioning from another provider or just starting to use EDI. With Lingo, our robust and intuitive software, you’ll be able to efficiently manage EDI transactions and orders from online marketplaces and eCommerce stores. Connect with a member of our team today to start the conversation — we’ll analyze your needs and processes to build a solution that is tailored to fit your company. What’s more, we have built productive relationships with retailers because they are confident we’ll make EDI transactions accurate, seamless, and efficient. If you decide to work with us, our teams will make the setup and integration process a smooth one, whether you’re transitioning from another provider or just starting to use EDI. With Lingo, our robust and intuitive software, you’ll be able to efficiently manage EDI transactions and orders from online marketplaces and eCommerce stores. Connect with a member of our team today to start the conversation — we’ll analyze your needs and processes to build a solution that is tailored to your company needs. We love to hear about the success of our clients. 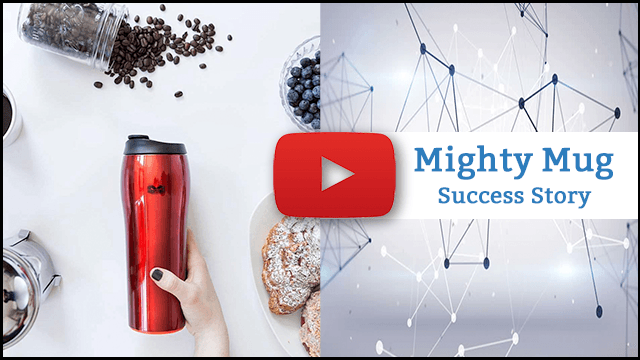 This is the story of Mighty Mug and the challenges it conquered, from initial sales and production to managing EDI transactions and the evolving retail landscape. Find out how easy we make eCommerce integration. It automates. It validates. It integrates. You have clients who demand you work a very specific way. Their way. Not so with Lingo. It’s not only powerful, it’s adaptable — because it’s software without an ego. You can choose to use the Lingo Control Center, your own API, or an ERP from another technology partner. Lingo knows how to get along with all of them, including a few that aren’t exactly known for being friendly.